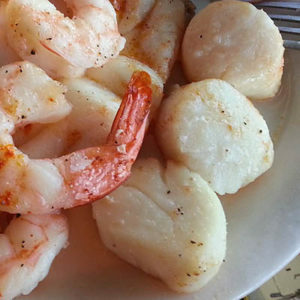 How does one of the most skilled chefs in the world cook scallops? Iron Chef Masaharu Morimoto steams his scallops in a little sake or white wine. This gives them amazing flavor and a texture like velvet. I tried it and they were fabulous. A bare simmer in a steamer basket and add chopped scallions to the liquid. Steam for about 5 or 6 minutes. Some jasmine rice on the side and you have one delicious dinner.